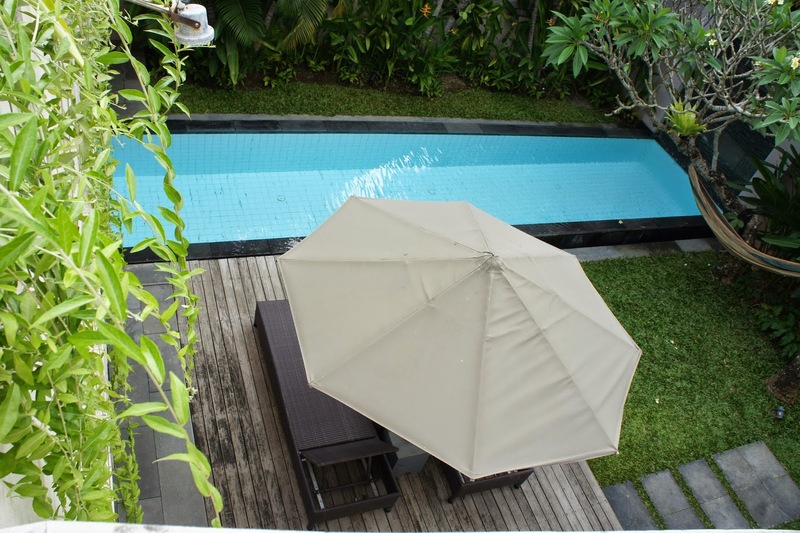 Bali Island Villas & Spa is located in one inconspicuous area of Seminyak in Bali. 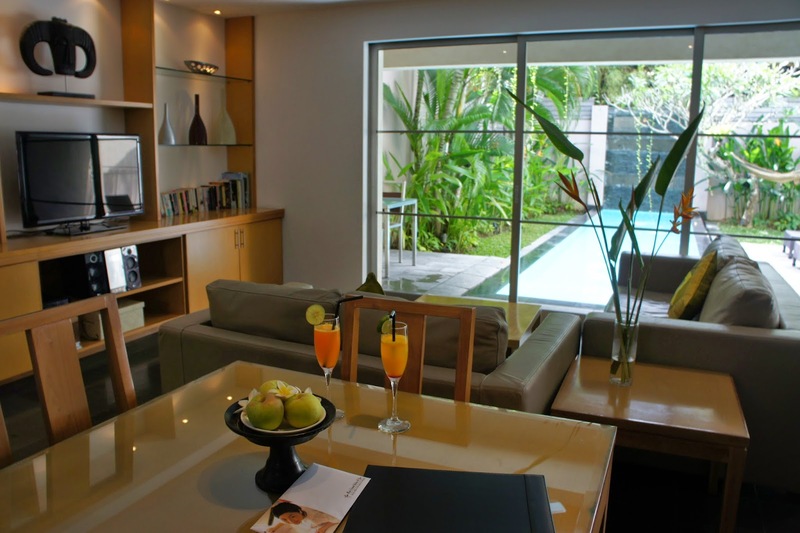 Seminyak is an upscale area of Bali and is quieter then Kuta. 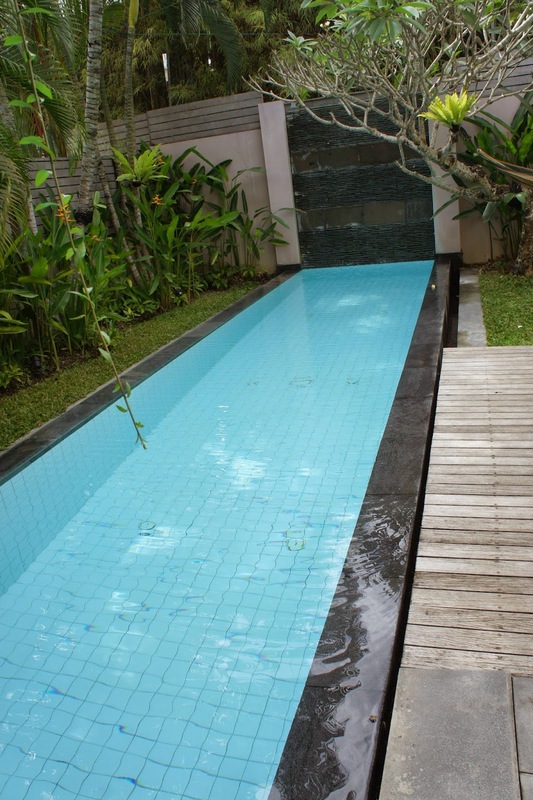 This area would allow guests to have far greater privacy then one would find in Kuta area. 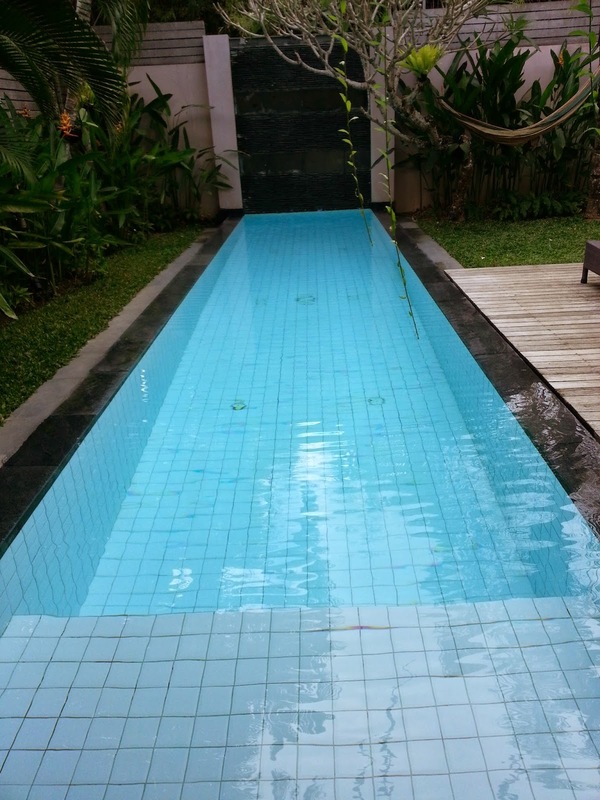 The villa is about 10 mins walk from Seminyak Sqaure, where one can find more dinning options. The area around the villa is rather dead, with limited dinning and shopping options. The villa is also located a fair distance away from the beach and the beach is not directly accessible to guests staying here. Not many cabbies know the location of the villa, hence, one would have to use certain landmarks to guide the cabbies. 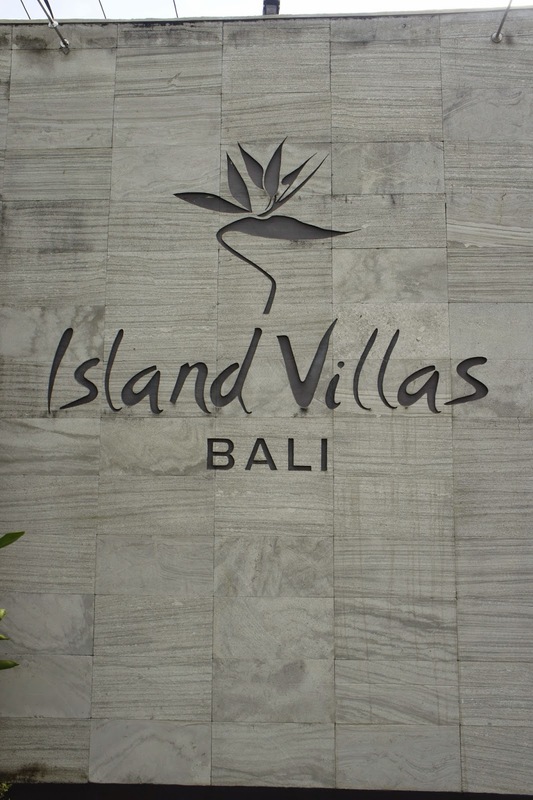 One such landmark would be W Hotel Bali, which is located just next to the villa. In terms of location, the villa is rather out of the way. 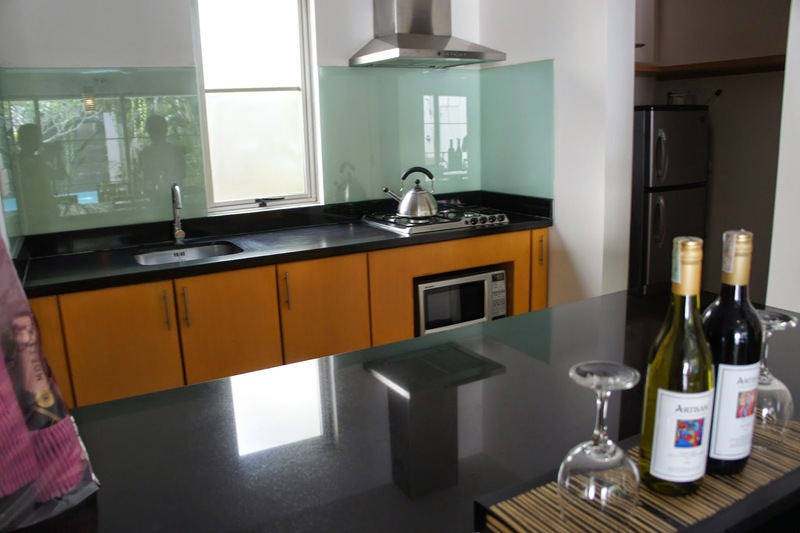 As one walk into the villa from the entrance, a full kitchen complete with microwave and full set of utensils were made available in the villa. There is even a kitchen island between the kitchen area and the living room. 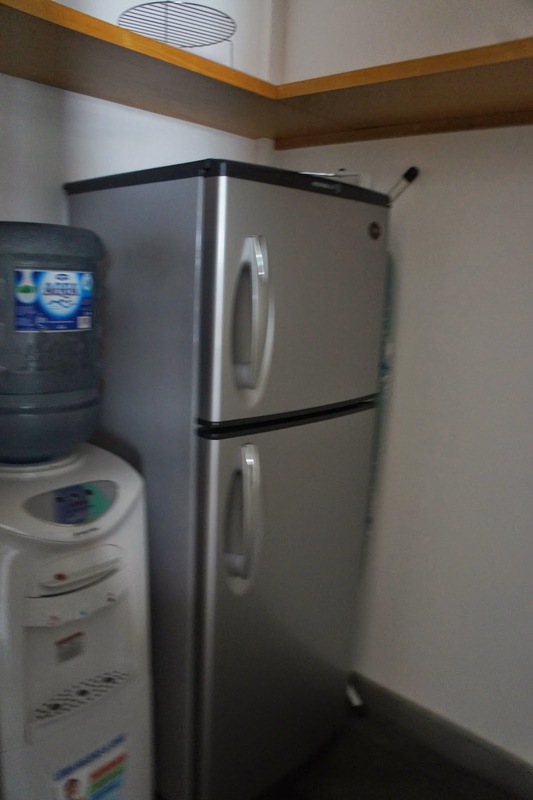 At the side of the kitchen is a small storeroom, where one will find a water dispenser, capable of dispensing both hot and cold water. This made the kettle rather redundant. The fridge and iron and ironing board was also available in this small room. 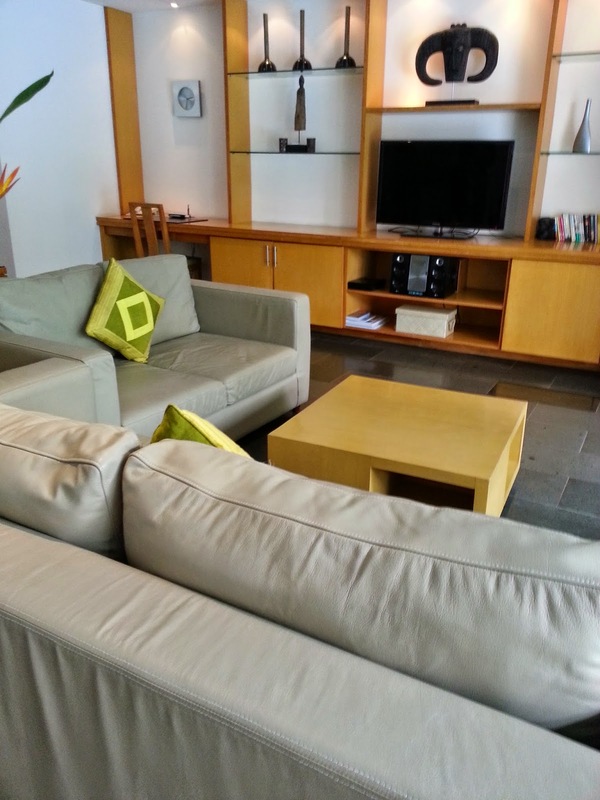 The living room of the villa feature a 3 seater and a 2 seater couch. The 3 seater couch can be turned into a queen sized bed which can hold up to 2 adults. 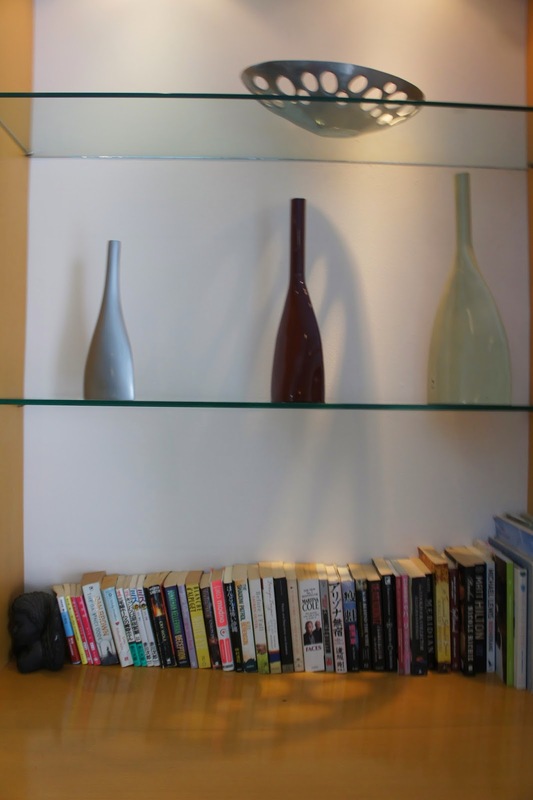 There is also a book shelf with all sorts of books and some display by the shelving where the TV was placed. 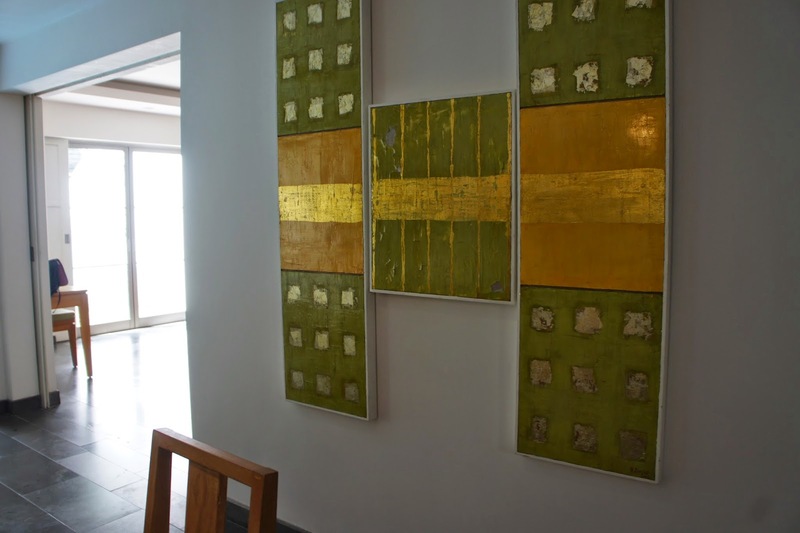 The decor in the living room is functional and yet contemporary. 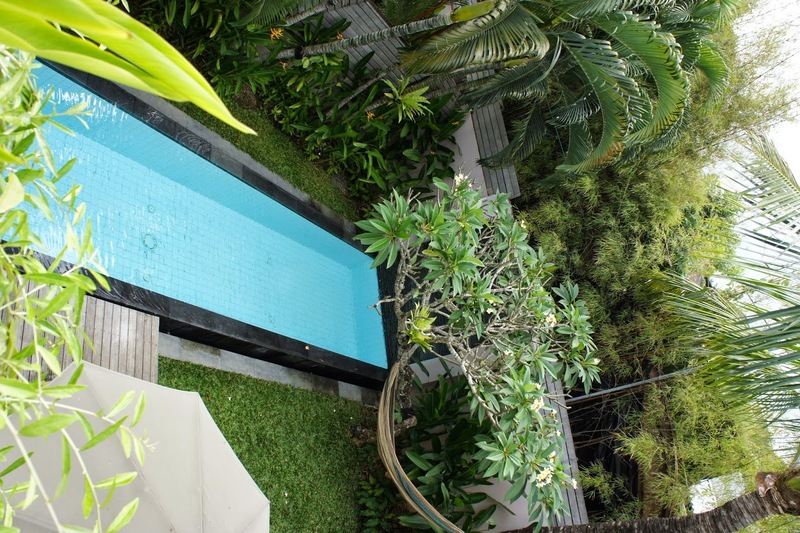 Facing the living room is our private plunge pool. The pool is rather small, however good enough for one to enjoy a quick dip. The sun tan chairs are right beside the pool, by the entrance from the bed room. beside the sun tan chairs is a staircase leading up to the open terrace, where one will find a day bed under a pavilion. There is a ceiling fan up the pavilion and illumination for one to enjoy the night. 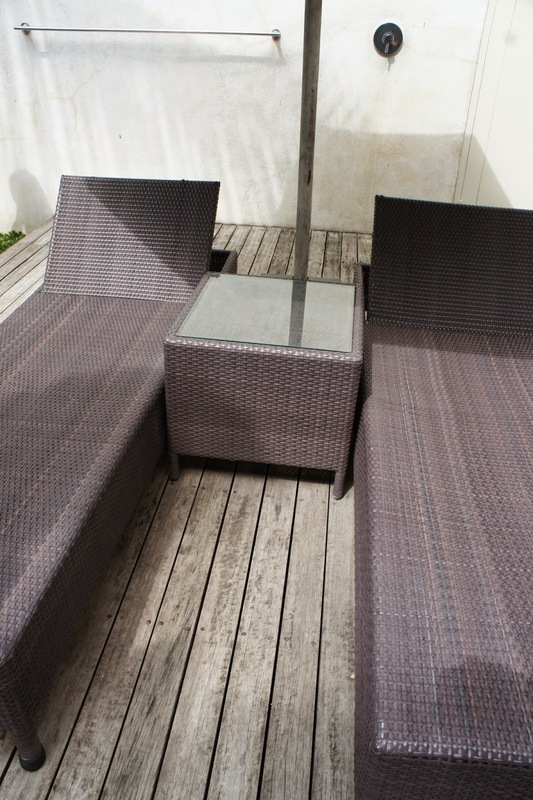 There are also a couple of sun tan chairs up on the terrace. As one walked into the bedroom, a huge king size bed greeted us. 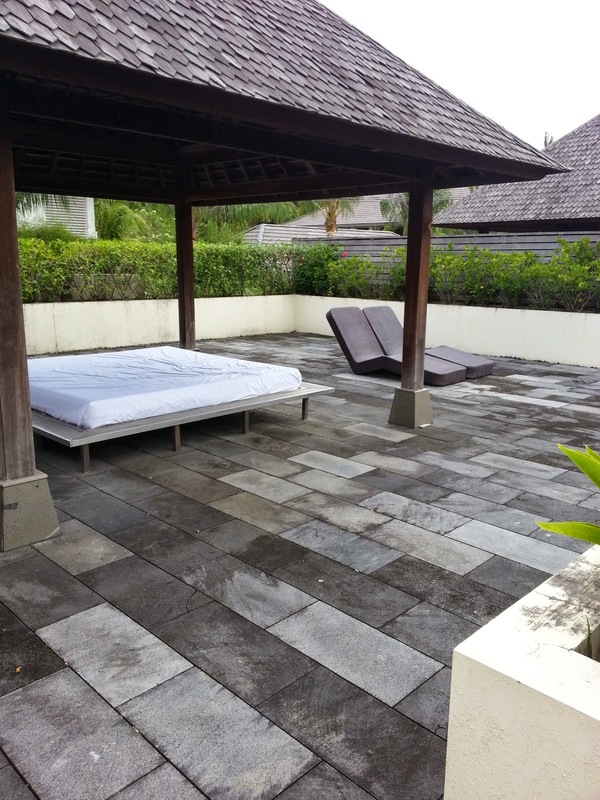 There is access to the suntan deck beside the pool from the bedroom. 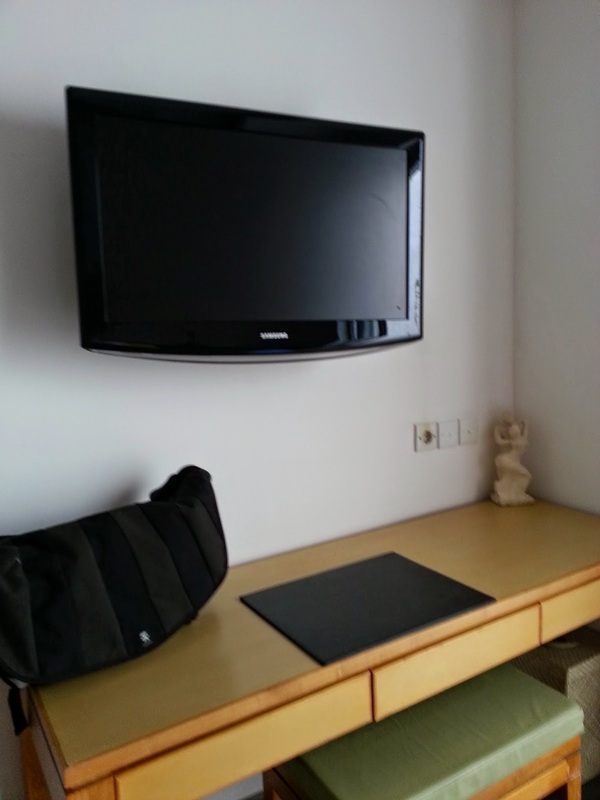 In front of the bed is another TV. The decor of the bedroom is simple yet stylist. The bed is comfortable, but the quality of the blanket is rather bad, insufficient to keep one warm should one adjust the air con to the lowest temperature. 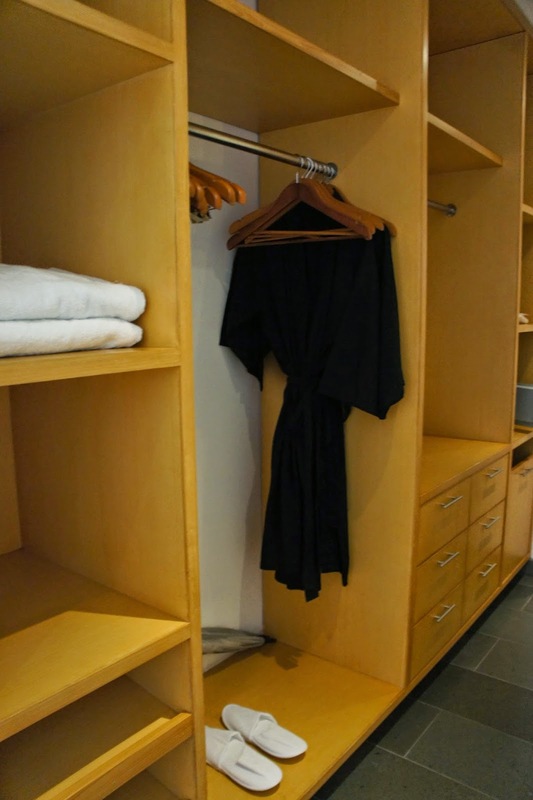 There is a small corridor that doubles as a walk in wardrobe as well as access to the bathroom. The storage space for the wardrobe is massive, it is definitely designed with a 4 person in mind. The safe however is a little disappointing. It is manual and lacked instructions for its use. 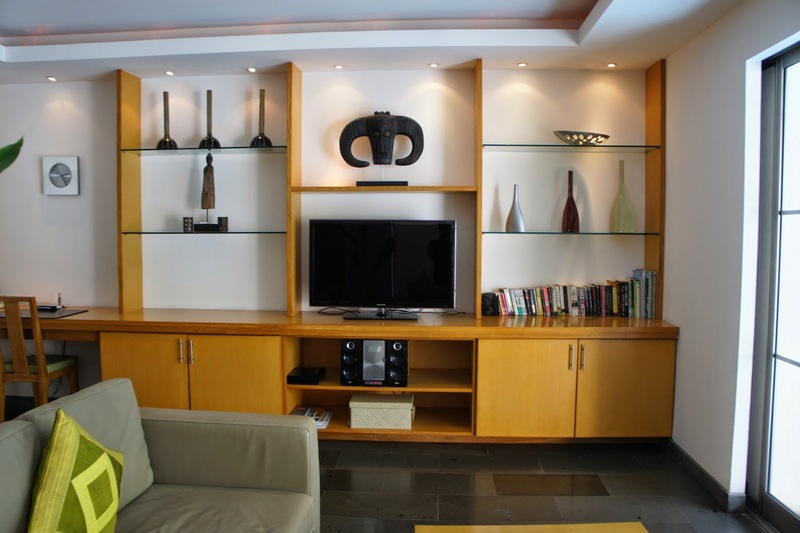 It is also not secured to any fixtures, which makes it look as though it can be easily removed. We did not end up using the safe. 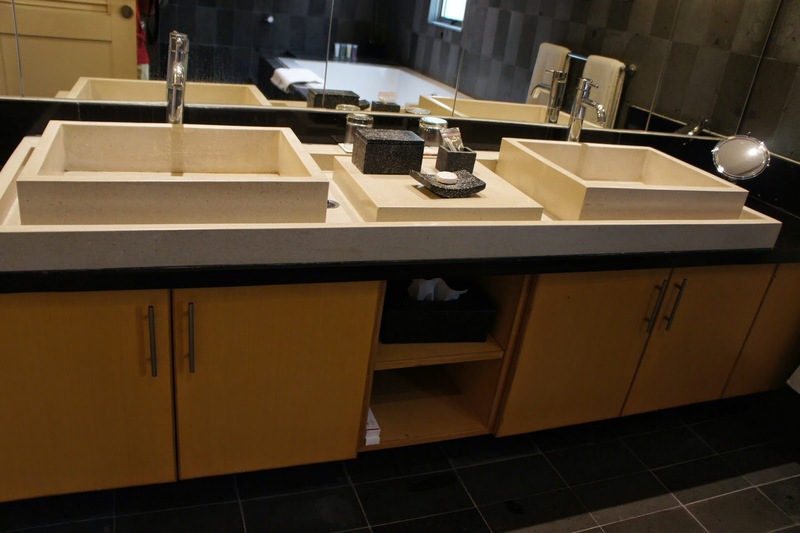 The bathroom has 2 sinks, so couples need not fight over sinks. 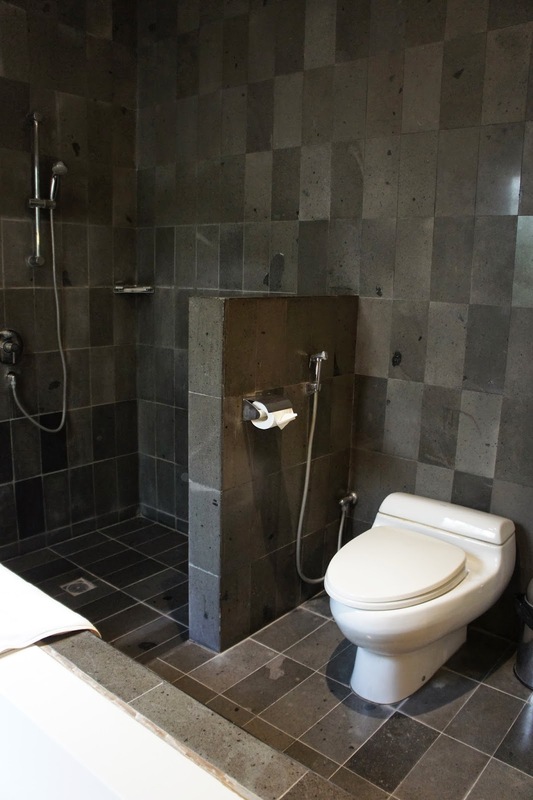 As with the other parts of the villa, there are more then sufficient storage space in the bathroom. The centre piece of the bathroom gotta be the oversized jacuzzi bathtub. water pressure from the jacuzzi function of the tub is lovely, and of the right pressure. 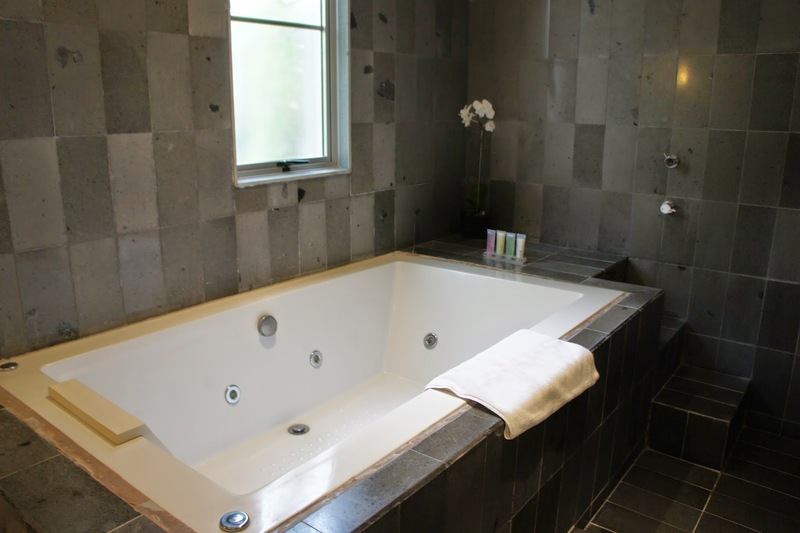 The tub has a small stairway that allow users to step safely into the tub. However the when filling the tub with water, one is caution not to turn it to the maximum volume, which will lead to small blackish particles into the tub. Signs of poorly maintained piping. There is a separate shower in one corner of the bathroom. The disappointing part about this shower is there is not only no rain shower, the normal shower head of the villa we were in seemed poorly maintained and the water pressure is not consistent. We were promised internet access in the villa, however we only got internet 1 day before checking out, due to some issues with the internet provider. If one were to bang on the 3G network inside the villa, one will be disappointed. the 3G connection inside the villa is very poor. Most of the time we did not get any 3G signals. 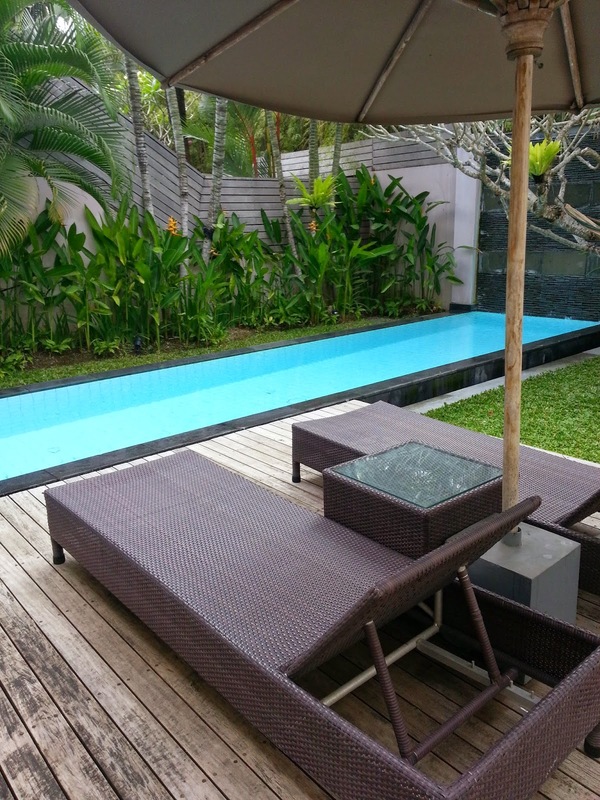 Prior to our arrival, I had made arrangements for the complementary transfer, despite my friend and I arrived Bali 1 day in advance, the villa still gladly picked us up from our hotel in Kuta. The driver was early for the transfer, however he only made the call to our room at the appointed time. Very pleasant service right from the start. 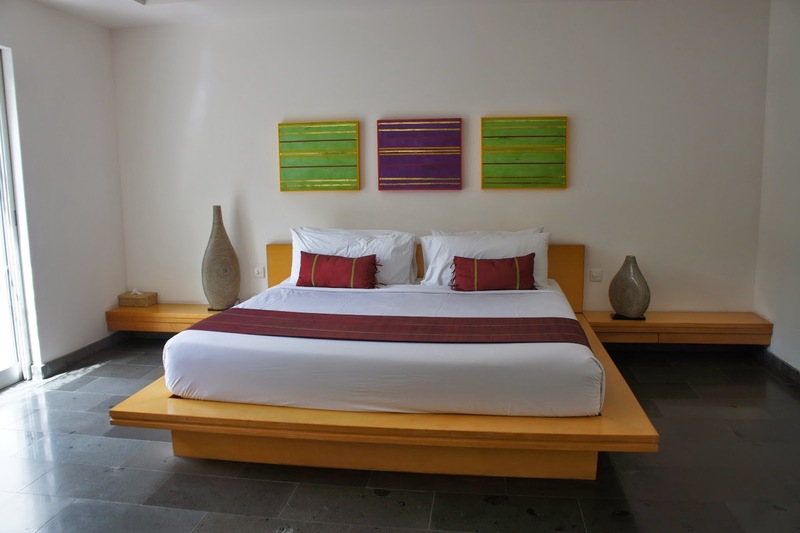 As we arrived at the villa, we were escorted to our room and the villa already has everything ready for our arrival. The check in was done in our villa, and one staff is already on standby in our villa, with the necessary check in paper work and welcome drinks already awaiting us. My friend and I was pleasantly delighted with such fantastic service right from the start. Checking in took a mere 5 mins and we got a short brief of the facilities in the villa from the staff. 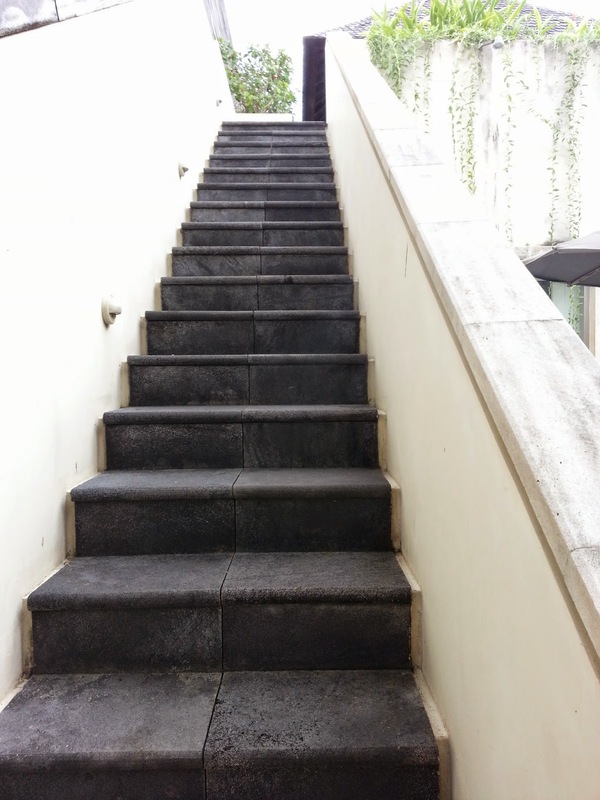 After which, the staff quickly retire themselves to give us the privacy that we need to explore the villa. 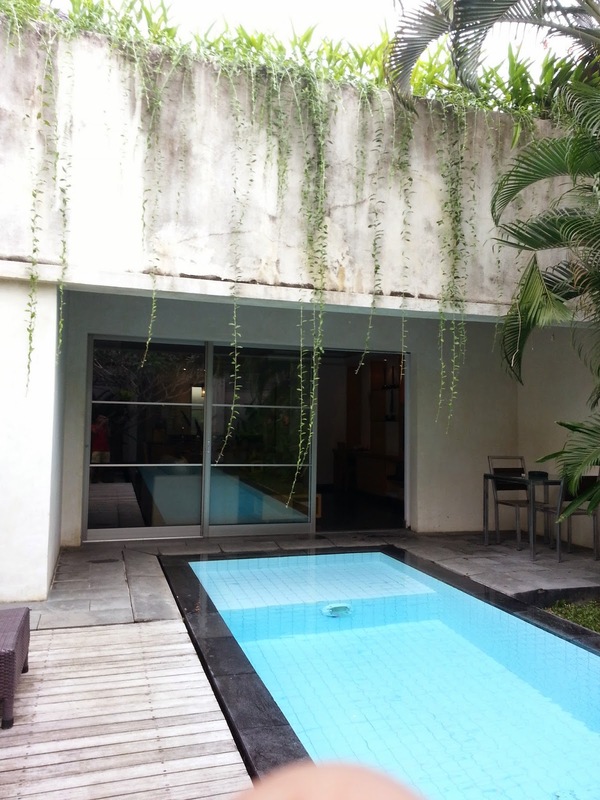 Overall, the location of the villa seem fair, however it just takes 10 mins walk towards Seminyak square. The entrance to the villa is rather inconspicuous. Most of the cabbies in bali might not know the exact location of the villa. 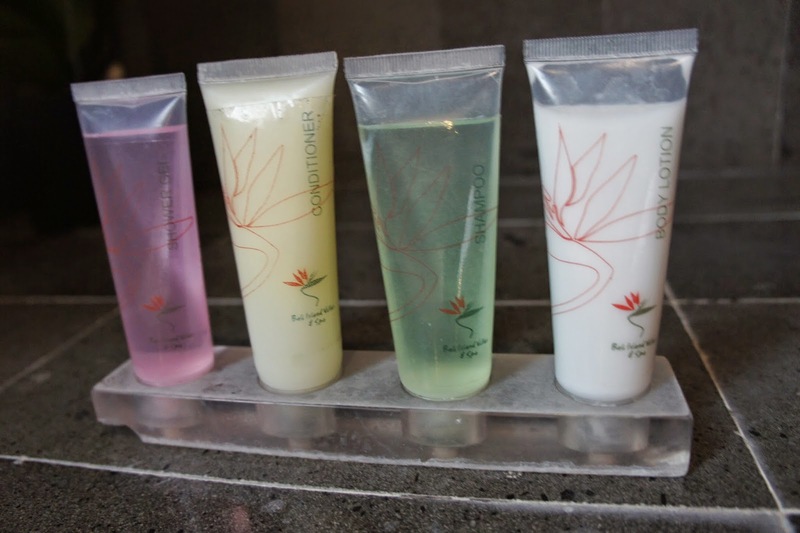 The stay is pleasant, the staffs are wonderful. The flaw with the internet and the bathroom area can be further improved to overcome these negative aspects of the stay.